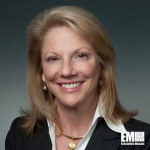 Anne Altman, former general manager of federal and government industries at IBM (NYSE: IBM), has joined Siemens’ U.S. government technologies business as chairman of the board of directors. Altman succeeds Stanley McChrystal, a retired U.S. Army general who became board chairman in 2011, the company said Thursday. “Anne brings a unique depth and understanding for the critical missions our government customers face every day, and, over the course of her distinguished career, has proved time and again why those in government and industry seek her out for expert advice,” said Barbara Humpton, president and CEO of Siemens Government Technologies and 2018 Wash100 recipient. The board consists of Humpton; Ralf Christian, CEO of Siemens’ energy management division; Axel Meier, chief financial officer of Siemens’ building technologies division; John Sylvester, a retired Army lieutenant general; and Bob Coutts, former executive vice president at Lockheed Martin (NYSE: LMT). Altman retired from IBM in January 2016 after a more than three-decade career there and then joined Maximus’ (NYSE: MMS) board of directors in December 2016. 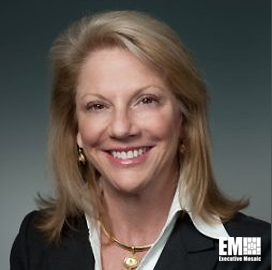 She also sits on the board of TechFlow and SPX Flow and is a member of the Northern Virginia Technology Council.